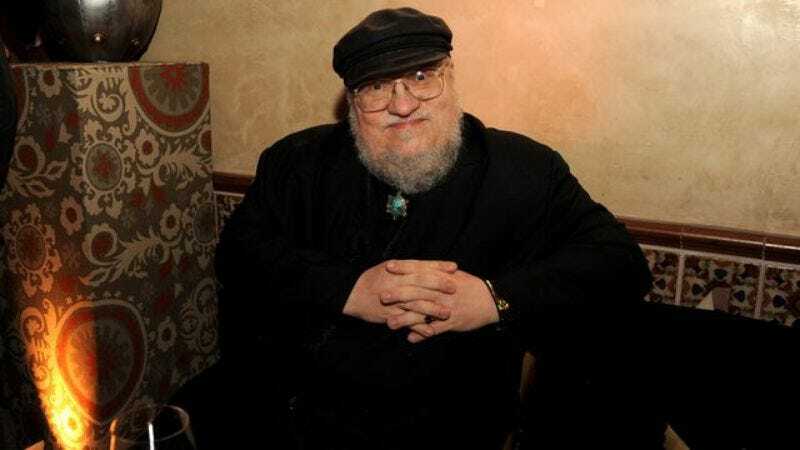 Brace yourselves, A Song Of Ice And Fire fans, because Random House has some horrible, bone-chilling news: contrary to a bunch of rumors floating around the internet, The Winds Of Winter probably isn’t coming out next spring. Well, maybe it is. But it could just as easily be released next autumn, or three summers from now. You see, all this confusion got started when, as Entertainment Weekly points out, Amazon France listed the book with an erroneous March 2017 publication date. And, despite the fact that a European wing of an U.S. online retailer is unlikely to have insider information on the most anticipated novel of the decade, great swaths of the fan base freaked out with excitement. Take special note of the part where it says “as he works hard to finish The Winds Of Winter.” That means that the long-awaited follow-up to A Dance With Dragons still is not done. And George R.R. Martin—not a particularly expeditious writer on a good day—is now dealing with the disappointment of seeing mysteries he set up twenty years ago spoiled by the television adaptation that has made him a very rich man. It’s hard to say what that will do for his productivity. But the 67-year-old author continues to drop new chapters for the forthcoming book here and there. And he’s promised that when it gets to the point of publication, he’ll be announcing it on his LiveJournal. So, take heart, for there remains a dream of The Winds Of Winter.